After they receive their MD or OD, rheumatologists spend three years training to become an internist or pediatrician, followed by two to three more years in a rheumatology fellowship. Like all physicians, rheumatologists are lifelong learners who take continuing medical education to keep up to date in their field — especially with the emergence of new and complex treatments such as biologics. Rheumatologists treat many similar joint diseases as orthopedists, but they don’t do surgery. 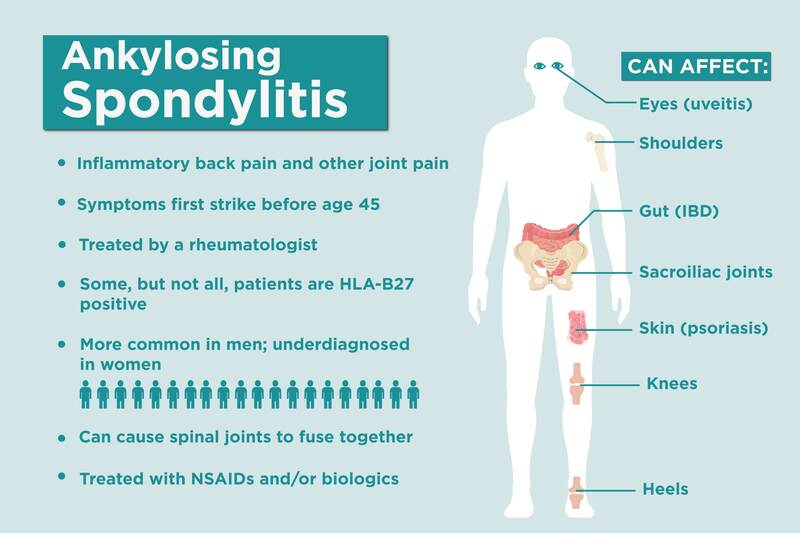 Many common diseases that rheumatologists treat include rheumatoid arthritis, gout, lupus, osteoarthritis, and chronic back pain, but there’s a lot about rheumatologists you might not know. Read on to learn more about what rheumatologists do and when it makes sense to see one. Don’t let the “rheum” in the name fool you. Besides rheumatoid arthritis (RA), rheumatologists treat a wide variety of autoimmune and inflammatory diseases that may affect the joints (such as gout and lupus), as well as other muscle or bone problems or injuries that can make your joints hurt and limit your function. “In addition to the systemic diseases, people may come to see a rheumatologist to diagnose chronic back or neck pain or for a localized joint or muscle or tendon problem such as tennis elbow or Achilles’ tendonitis,” says Paula Marchetta, MD, MBA, president of the American College of Rheumatology. Rheumatologists also treat other conditions that you might be unaware of, such as osteoporosis, fibromyalgia, and Lyme disease. Your primary care physician may send you to a rheumatologist as a last resort after no one else has figured out what’s going on. “We treat lots of rare diseases as well as more common diseases that sometimes present in unusual ways that make it harder to make the diagnosis. We have to take into consideration every system of the body, not just one organ. We do lots of detective work and think about patterns in your symptoms,” Dr. Marchetta says. Some specialists consult on your diagnosis and treatment plan, then send you back to your primary care doctor for most follow-up care. Not true for rheumatologists. “After making sure we have the right diagnosis, we obtain the appropriate lab work to make sure you’re safe starting medication, and then see you every two to three months. Some people require less frequent follow-up, but we typically see patients more than their primary care doctors. In fact, we might become their primary care doctors,” says rheumatologist Liana Fraenkel, MD, MPH, adjunct professor of medicine at the Yale University School of Medicine. Rheumatologists aren’t surgeons, but if you need joint replacement they’ll be involved both before and after your operation. “You will often need a rheumatology evaluation before surgery to manage your drugs and to decide if any precautions must be taken for surgery because of your disease. Afterward, we want to control your disease well and avoid flaring so that you can do well in rehab and maximize the success of the joint replacement,” Dr. Marchetta says. The diagnosis your primary care doctor has in mind may not be what your rheumatologist determines. What’s more, because there are lots of overlapping diseases and diseases with similar symptoms, your diagnosis may change months or years later if you develop a new symptom. “This probably happens more frequently in rheumatology than in other specialties like endocrinology. It’s pretty easy to make a diagnosis of diabetes, but in rheumatology many diseases don’t have blood tests that make the diagnosis. A positive blood test for rheumatoid factor doesn’t necessarily mean you have RA, and you can have RA with a negative blood test. It can be frustrating but things aren’t always clear, and they do change over time,” says Dr. Fraenkel, who also directs Patient-Centered Population Health Services at Berkshire Health Systems. According to a 2018 survey, if rheumatologists had it to do over again, four out of five rheumatologists would choose to be a doctor and three out of four would choose the same specialty. That satisfaction may be because they can see the impact they make on patients’ lives and well-being. “If you treat someone’s high blood pressure and cholesterol, you’re helping in the long term to prevent heart disease and stroke, but the patient doesn’t feel anything unless they have side effects from the medication. When you treat someone with arthritis and you relieve their pain, they wake up feeling better and normal, and that is the wonderful part about being a physician and a rheumatologist,” says Dr. Marchetta. 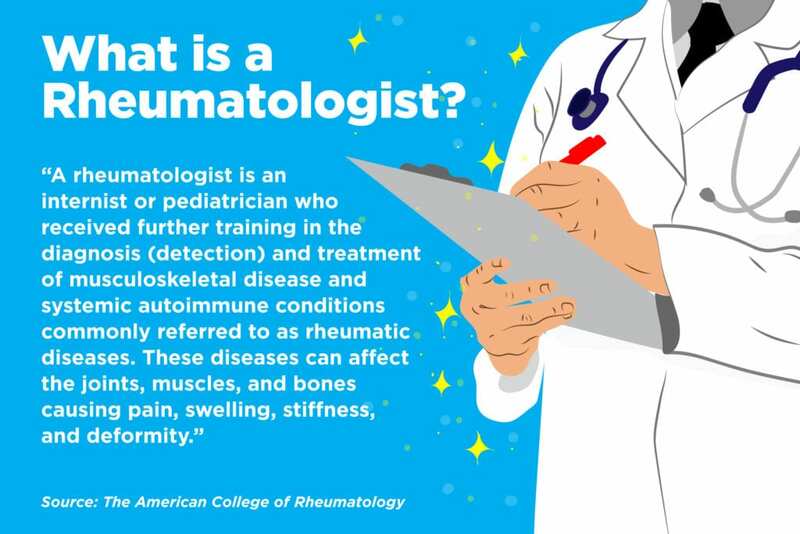 There are about 5,000 practicing rheumatologists in America, with about half working independently and half in academic settings or working with industry to improve drug treatments. According to the U.S. Department of Health and Human Services, that’s already a shortage. It is predicted to get worse by 2025 as current rheumatologists retire and not enough new ones come on board. Aren’t in much pain. “The amount of pain doesn’t necessarily predict who will have rheumatoid arthritis. Some people mostly have stiffness and not much pain, but if there is joint swelling it’s important to be evaluated,” says Dr. Fraenkel. Are scared of taking medication. 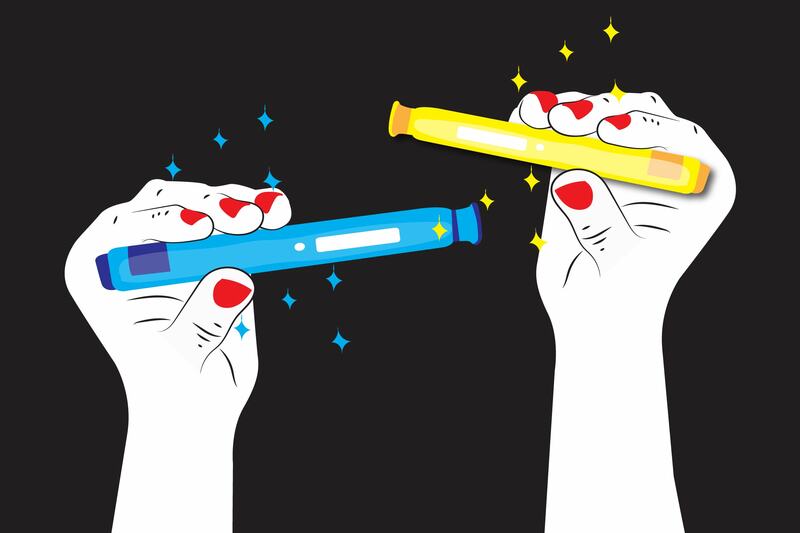 “Some people are afraid a rheumatologist will prescribe something they don’t want to take. That should not defer you from seeking the referral. If a patient is reluctant to take a medication, there is always a treatment plan we can come up with that they will be comfortable with,” Dr. Fraenkel says.